As a proponent of print on-demand color labels, I recently found an article that provides expert reasoning for making the switch to print on-demand color labels. Jill Morton of ColorCom (www.colorcom.com) is a Color Psychologist and Branding Expert. As one of the most knowledgeable color experts and researchers in the world today, she holds a Master’s Degree in Design and has served as faculty at several universities. As founder of Colorcom, she brings the highest level of technical and professional knowledge about color to a wide range of projects. Psychological color impact, innovative color combinations, attractive color harmonies, visual ergonomics and marketing trends are the critical factors she addresses in prescribing successful solutions for her global clients. 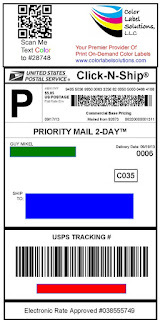 In the post, Why Color Matters, (http://www.colorcom.com/research/why-color-matters), Jill provides several broad rational that should apply for moving from monochrome, black only to print on-demand color labels. While reviewing this article, I wondered how the most basic label, a Shipping Label, would benefit by adding color. I understand shipping labels are primarily read using a barcode scanner with little to no human interaction. But humans do read some and see all shipping labels. In the section Color and Marketing, Jill shows research that states 62% to 90% of a person’s judgment about a product comes from color within the first 90 seconds. Therefore, when a customer or even a third party sees a monochrome label, they make a judgment or receive a message about the product immediately. Given this instant product positioning, you need to ask, what message or judgment could a color shipping label convey about your product and company? Nothing but positive from my perspective. In the section Color and Brand Identity, Jill provides research from Loyola Maryland University that color increases brand recognition by 80%. With no color, a shipping label which is read by the ultimate customer and a lot of potential buyers along the way, is missing the opportunity to strengthen the brand. Would your brand benefit from an increase in identity for practically zero cost? In Color Engages and Increases Participation, Jill restates data that shows color ads are read by up to 42% more than black and white. Imagine how increased readership of a shipping label would benefit the reader; as well as the company applying the label. Fewer shipping errors, faster service and more importantly, stronger branding and positioning. In Color Informs, Jill shows how color increases readership by 40%, increases learning to 78% and improves comprehension by 73%. As stated above, improved readership, increased learning and improved comprehension would work especially on a shipping label. Imagine the additional information you could add to a shipping label in color that people would read, comprehend and retain. This benefit could mean a tremendous ROI by moving to color. In Color Attracts Attention, Jill shares data that monochrome documents sustain readership for less than .67 seconds, whereas color retains attention over 2 seconds. This increased attention enables humans to process information better. Companies should emphasize important and critical information in color, making these labels more effective. With billions of shipping labels produced and read annually, imagine how this increase in readership would affect your products, supply chain and customers. 90% Believe customers remember documents better when color is used. Would you like your customers and 3rd parties to remember your shipping labels and the important information on them better? 83% Believe color makes them appear more successful. Would you like to position your company as successful? 81% Think color gives them a competitive edge. Would you like an inexpensive way to gain a competitive edge? 76% Believe that the use of color makes their business appear larger to clients. Would you like your small business to appear larger? If you’ve ever wondered about using color on more labels, contact us. We’ll help you select the best print on-demand color label solution for your business. Armflags (www.armflags.com) is an exciting new spirit-wear company providing innovative and unique spirit-wear products for fans to wear in support of their favorite teams and causes. ARMFLAGS is a licensed provider of NCAA and High-School Teams and is quickly expanding its assortment and offerings across the country and beyond. The story behind ARMFLAGS is GREAT! In 2012, while watching the BCS Championship Game in New Orleans, Michael O’Leary, the founder, became committed to putting “Armsleeves with logos” on all fans! Together with his friend and former colleague, Jonas Thelin, they created “ARMFLAGS”, focused on providing high quality Armsleeves with Team LOGOS and IMAGES; allowing fans and supporters to show their passion for their teams and causes alike. 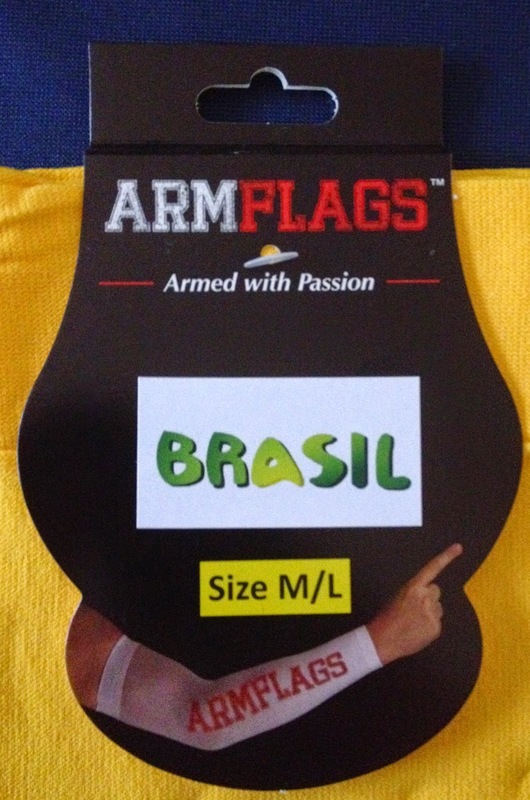 ARMFLAGS sell for $19.95 a pair; and we’ll be available soon to purchase on their website. In their first full week of operation, ARMFLAG sold 2,500 pairs to 3 wholesale customers. WOW! Be sure to help me support ARMFLAGS by Liking” their Facebook page, https://www.facebook.com/AF.Armflags. It’s exciting to work with customers like ARMFLAGS; niche manufacturers with great ideas, led by wonderful people. Plus I appreciate the willingness to use different processes such as print on-demand color labels to produce their products. 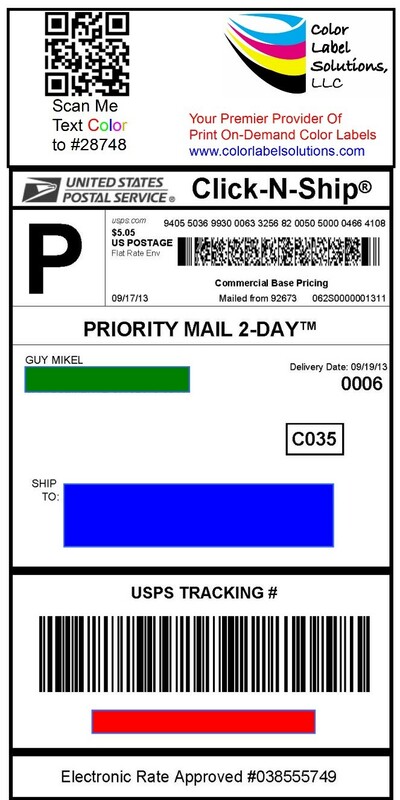 If you need print color labels only when you need them, be sure to contact us. We’ll help you as well. 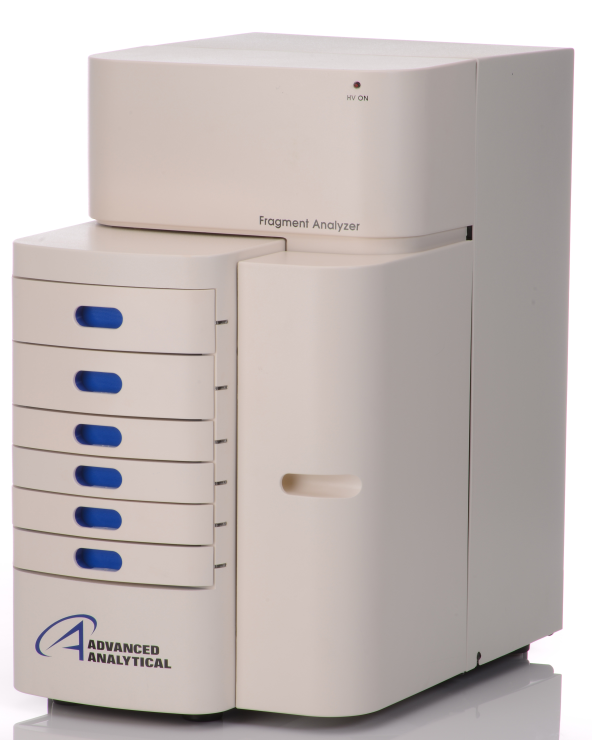 Advanced Analytical Technologies, Inc. (AATI), www.aati-us.com, simplifies complex genomics workflows to accelerate research and discovery in pharmaceuticals, life science, biofuels, biotechnology and healthcare. Developing, manufacturing and marketing high-throughput, fully-automated nucleic acid and genetic analysis systems, AATI’s products have both commercial and research applications. The company’s product portfolio includes instruments for the parallel analysis of biomolecules, DNA, RNA, genomic DNA, double-stranded DNA, pharmaceutical compounds and proteins using capillary electrophoresis (CE) with fluorescence detection or UV absorbance. After deciding to look for alternatives, AATI begin discussions with Color Label Solutions on options to print better looking and more cold resistant labels. For those of you interested in cold storage of labels, you may want to review an earlier post from my blog: http://colorlabelsondemand.blogspot.com/2012/04/very-cold-so-cold.html. Based on the requirements, I recommended the TM-C3500 along with durable poly labels made with Kimdura: http://colorlabelsondemand.blogspot.com/2013/03/kimdura-better-results.html. In addition, I showed AATI BarTender and the ease of adding color logo’s, images and text; including the way to download a free version of BarTender to test: http://www.seagullscientific.com/label-software/barcode-label-printing-software-download.aspx. After sharing this information, Sherry requested print samples to test in the freezer as well as the prices of the labels and ink. I sent AATI samples to place on their products and test in freezer conditions. AATI confirmed the labels worked. Based on the test results and estimated costs, AATI purchased a TM-C3500, ink, Spare-in-the-Air (SITA) Extended warranty, and 4” x 2” poly labels to start printing new labels. After selling the printer and labels, I gave AATI online training to insure they start printing quickly and easily. Second, AATI needs clear film labels in addition to the standard white poly. To date, Epson has not qualified any clear film labels to use with their label printers. However, I have found a film material that appears water fast and freezer resistant. 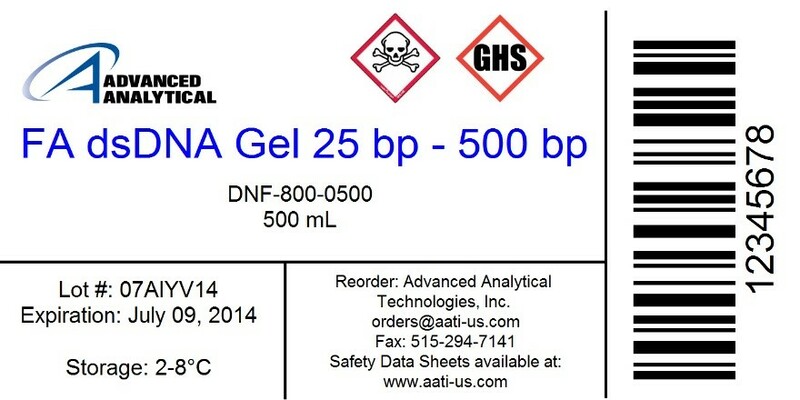 With further testing, this label material may work for AATI. 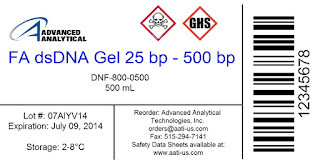 If you work in a laboratory or need labels like AATI, you might find another recent post on one of our lab customers of interest as well: http://colorlabelsondemand.blogspot.com/2014/02/durable-laboratory-samples.html. AATI is a great new customer for Color Label Solutions; especially given their commitment to using print on-demand color labels. I admire the due diligence Sherry and AATI took to gather information and test the options presented. If you need labels for your biotechnology or laboratory products; or just need to comply with the GHS requirements, contact us. We’ll make sure you get printing great looking labels quickly and easily. 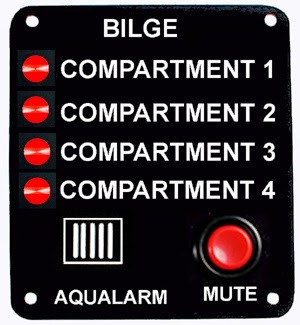 Aqualarm (www.aqualarm.net) is a manufacturer and distributor that has been supplying alarms and monitoring products to the boating industry for the past 40 years. Selling on-line and through their channel of worldwide dealers, Aqualarm offers more choices in alarms and security solutions than any other boating-oriented company. To meet his color label requirements, John purchased a TM-C3500 from the Color Label Solutions store: http://stores.colorlabelsolutions.com/tm-c3500-color-label-printer-usb-ethernet/. Plus he purchased Spare-in-the-Air (SITA) warranty, additional ink and 3”/4” continuous gloss paper labels from us. Normally, we provide an on-line session to our customers to help them install and configure the printer to insure they start printing labels quickly. John decided to tackle this work by himself. Although it took more time, John felt he learned more about the printer. If you have a TM-C3500, be sure to contact us if you ever need support. Or check out our Does-Don’ts for Printing with the TM-C3500: http://www.colorlabel.solutions/does-don-ts.html. After working with the TM-C3500, John’s initial impression is positive. “I’m very happy with the TM-C3500; especially like the cutting feature. The built-in cutter and continuous labels allows us to produce several different label sizes. Also, the easy access of the ink cartridges is nice feature”, says John. As John has found, the built-in cutter enables you to create labels in variable lengths. 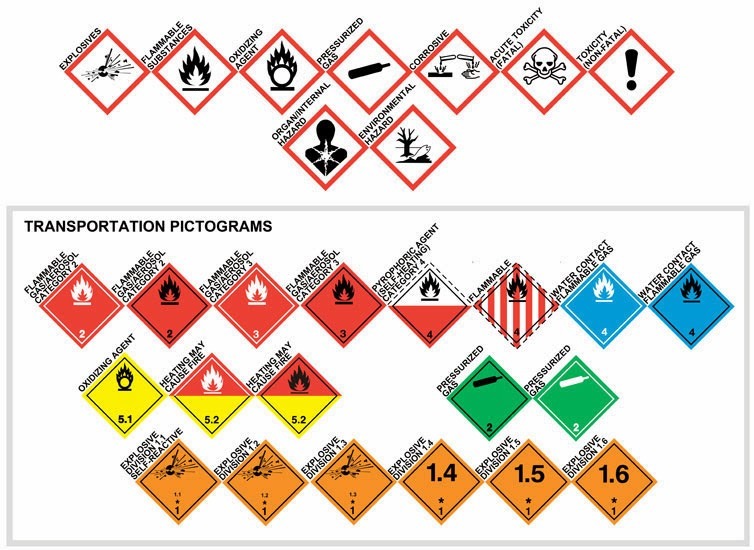 With many different products (148 listed on the Aqualarm website), you can minimize your label inventory by using continuous media. You can find our gloss paper labels here: http://stores.colorlabelsolutions.com/gloss-paper-labels/ . I appreciate exerts like John who been selling marine parts for more than 40 years. And companies like Aqualarm; who are the leading or preferred supplier in their niche. Aqualarm is a great example of how manufacturing companies can save money, improve their processes and strengthen their brand by moving to print on-demand color labels. If you have a company similar to Aqualarm, contact us and we’ll help you too.